A natural pond with a gentle slope? Bushes and trees with fruits, berries, and nuts? Thorned climbers or bushes near outer walls? Natural shelters (with room to pass underneath for hedgehogs)? A species-rich vegetation with structure? Native plants for caterpillars, butterflies, and bees? A nesting-box for birds, mammals, and insects? If your garden has seven or more of these characteristics, you are the happy owner of a natural reserve. And, of course, if your garden doesn’t have these qualities now, you can use them as guidelines to enhance your garden or balcony, making it a green stepping stone for wildlife. It’s simple. For example, you may not have room for a natural pond, but you likely have space to provide fresh water year round—perhaps in a small stone basin. On a small balcony you can grow vegetables, herbs, or native flowers in a slowly composting straw bale (earning you two points!). In France, where the “refuge” (the natural reserve garden) is a decades-old concept initiated to revitalize the countryside after WWII. 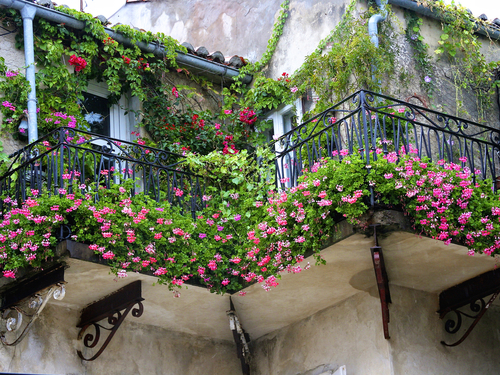 You are entitled to call your garden a Refuge in France if you follow a few simple principles. Firstly, you need to create the right conditions for wild flora and fauna to flourish. This could mean protecting birds by providing peace and quietude at sensitive times, such as an extreme cold period or breeding time; or diversifying the garden landscape with elements such as a natural pond, rustic fence, or piled stone wall; or focusing on indigenous plant species that thrive under local weather conditions and are adapted to local wildlife. Secondly, you need to renounce chemical inputs. This is accomplished by manual weeding, the use of biological interventions (if intervention is necessary), preferring natural fertilizers, and promoting auxiliary plant associations to reduce disease and pests. Thirdly, you need to reduce the environmental impact of your garden management. For example, conserving water and using household waste as fertilizer. And lastly, you need to prevent hunting in the refuge to protect biodiversity. This means you shouldn’t allow hunters to trespass if your garden is in an area where hunting may take place. France counts 15,800 refuges, on average 2 hectares (about 5 acres) each, and 25,400 hectares (62,700 acres) combined. Of these, 812 belong to foundations, 225 are collective enterprises, and 280 are balcony gardens. *Shutterstock image of a balcony garden.